Christmas isn’t far away; are you ready to rumball? Too often the holiday season can result in overindulgence – too much alcohol, too much food and too much shopping. So that we don’t all start the new year off in the wrong way I am sharing with you a healthier version of the classic Christmas rumball. These rumballs are packed full of healthy goodness with nuts and dried fruit but still hit the spot with rummy richness. Perfect for any Christmas party or as a gift. It would still be wise to enjoy them in moderation though; they are very high in fibre! Using a small food processor blitz the macadamia nuts until fine; set aside. Then blitz the prunes until finely mushed. Combine the nuts and prunes with the remaining ingredients. 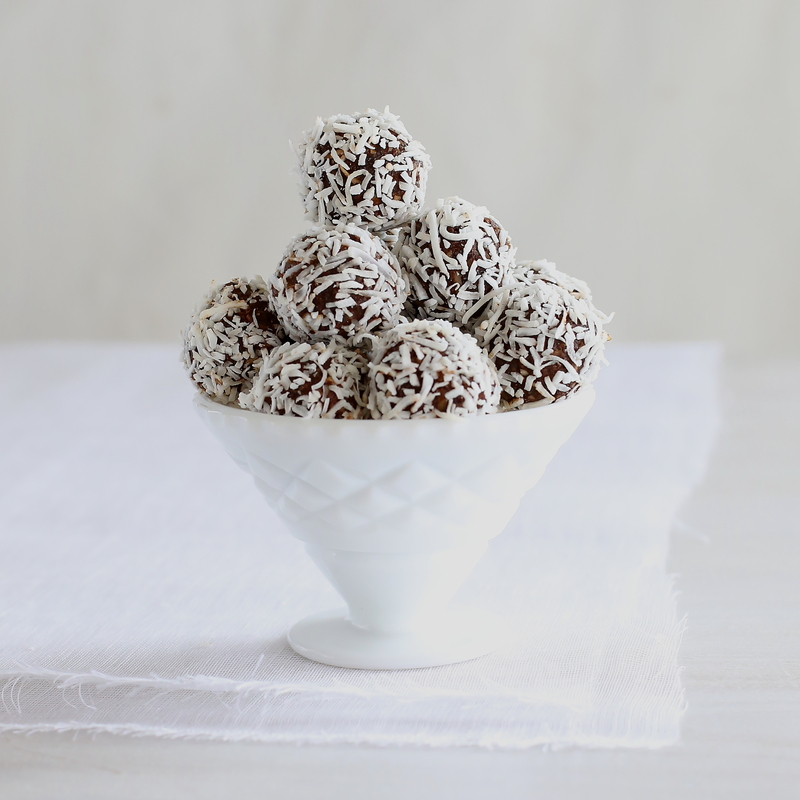 Roll into small balls and toss in the shredded coconut to coat. Store in the fridge. Posted in Sweet TreatsTagged Christmas, dairy free, egg free, gluten free, vegan. vegetarianBookmark the permalink. Great photo again. Looks delicious.